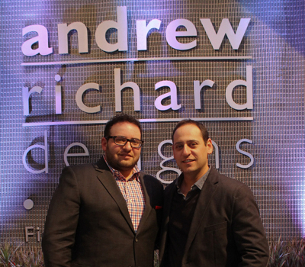 ARD Outdoor is a new concept from Andrew Richard Designs, located in Midtown Toronto offering a diversification of products. Andrew Richard Designs creates custom, unique outdoor living experiences to enhance both the spaces and lifestyle of our clients. From backyards and urban terraces to global hotels and high-end restaurants, our projects showcase the latest in outdoor living. Each year, we design a range of new, on-trend collections that are composed of the best materials and craftsmanship. Designed in Toronto and manufactured in our own factory in Indonesia, ARD uses an exclusive patented product called Solartex ™ which is woven tightly by hand, in addition to the finest stainless steel and reclaimed sustainably sourced teak, to construct each collection. Led by brothers Andrew and Richard Bockner, ARD evolved from Cana-Foam Products, one of the first companies in Canada to manufacture outdoor furniture. Today Cana-Foam continues to manufacture cushions, umbrellas, and outdoor furnishings for mass merchant and independent retailers around the world.